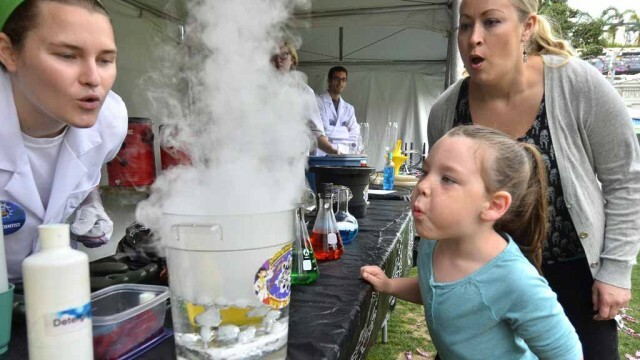 The San Diego Festival of Science & Engineering‘s EXPO Day at Petco Park on Saturday drew 23,685 people — the largest crowd in the event’s eight-year history. The event kicked off a week of events around San Diego County focused on the STEM disciplines of science, technology, engineering and mathematics for students and adults. Most events are free or low-cost. A complete list of upcoming events is available online. The EXPO and related events are aimed at future scientists from kindergarten to 12th grade to stimulate their interest in science and engineering careers.